There’s a story that used to do the rounds of my Bible College. It may be apocryphal, but knowing the individual concerned, it has the ring of truth. A stressed student spoke to one of his lecturers, confessing that he was struggling with the demands of the college workload. There just didn’t seem enough hours in the day to get through it all. He asked the lecturer if he had any advice? “Have you thought of sleeping less”, came the sincere reply. One of my colleagues in ministry confessed to me that the book had changed its life. It could change yours. One of the most influential books I’ve read recently is Matthew Walker’s best seller, Why We Sleep: Unlocking the Power of Sleep and Dreams. One of my colleagues in ministry confessed to me that the book had changed its life. It could change yours. Walker, a professor of neuroscience and psychology at UC Berkeley has spent over 20 years studying sleep. Excuse the pun, but his book is a wake-up call to all of us, not least of all those of us in ministry. 1. Don’t believe the myth that we can get by on less than 7 hours sleep a night. Sometimes our heroes in the Christian faith are men and women who preach well, do many notable works for God, and get by on four or five hours sleep a night. The Puritan, Richard Baxter, advised, “To some five hours is enough; to the ordinary sort of healthful persons six hours is enough; to many weak, valetudinary (weak, sickly persons given to morbid concerns about their health) spirits seven hours is needful.” So, an implication seems to be that the more godly you are, the less you sleep. Sleeping seven to eight hours a night isn’t indulgent. It’s natural and wise. 2. There really are ‘morning people’ and ‘night people’. For about 40% of the population their peak wakefulness, and therefore optimal time for productive work is early in the day. Evening types account for around 30% of the population; their brain remains in a sleep-like state until mid-morning. In the light of this, Walker points out that society’s strong bias for early starting times (at work and school) prejudices against night owls who don’t realise their true performance potential until late afternoon or early evening. I always recommend preachers prepare their sermons when they’re at their most alert. For me, that’s the morning; for 30% of preachers it will probably be later in the day. We’re wired that way. 3. The mid-afternoon hours really are ‘a graveyard shift’. Speakers bemoan having to speak to a drowsy congregation after lunch, and for good reason. Sleep experts speak of bi-phasic sleep; two phases of sleep. Walker notes, “all humans …have a genetically hardwired dip in alertness that occurs in the mid-afternoon hours”. That explains ‘siesta cultures’. Interestingly, Walker notes the significant health benefits of the siesta; in short, people live longer. Walker argues the afternoon nap, “appears to be a normal part of the daily rhythm of life”. Whether or not you’re an afternoon napper (and I’m not) Walker’s advice still stands: if you ever have to give a presentation avoid the mid-afternoon slot. 4. A good night’s sleep enhances the next day’s sermon proclamation. For example, sleep actually enhances recall; you forget less. So, pulling an ‘all-nighter’ means you retain less, not more, of what you’ve tried to remember. When I preach I want to be as familiar as possible with my manuscript, so I can recall what I’ve written and have better eye contact. A full night’s sleep on Saturday should improve delivery on Sunday. Drinking coffee is increasingly an Aussie cultural norm. Aussies are (in)famous for being coffee connoisseurs. But we need to be wise about our intake of the, “most widely used (and abused) psychoactive stimulant in the world”. Coffee has a ‘half-life’ of five to seven hours. That’s how long it takes to remove this stimulant that tricks us into feeling alert, when our body knows it needs sleep. Even a second coffee in the afternoon makes it harder to sleep in the evening. 6. Switch off the screen. For too long I’ve spent the hours before bed on my computer screen. Not smart. “Using LED devices at night impacts our natural sleep rhythms, the quality of our sleep, and how alert we feel during the day. The societal and public health ramifications … are not small.” My wife and I have imposed a 9.00pm curfew on our screens. I’m getting older. Godly wisdom demands I exercise and eat well. But for too long I’ve not been as disciplined with my sleep. The healthy trinity is diet, exercise and sleep. 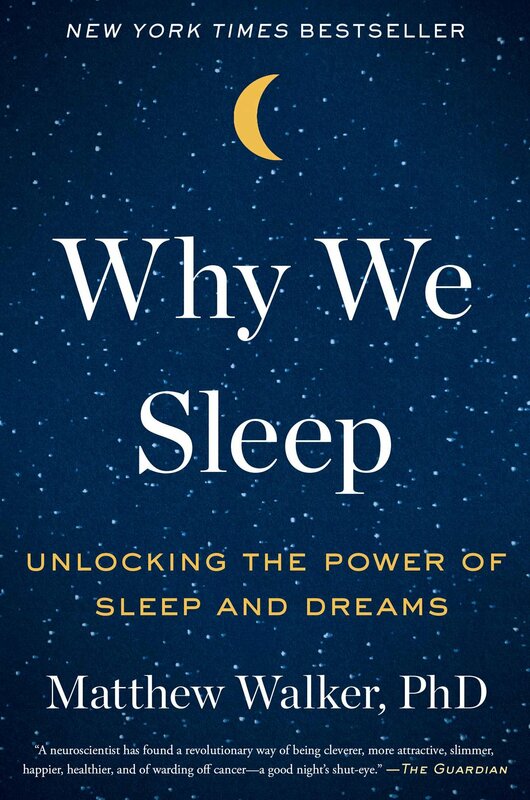 Walker argues that sleep is the foundation: “we are now forced to wonder whether there are any biological functions that do not benefit by a good night’s sleep”. I regularly pray, ‘Lord, give me a long life and ministry’. Part of my role in the answering of this prayer is being ‘a wise sleeper’. I’m getting older. I regularly pray, ‘Lord, give me a long life and ministry’. Part of my role in the answering of this prayer is being ‘a wise sleeper’. Once again, it is C.H. Spurgeon who displayed wisdom ahead of his time. Recognising that sleep is a gift from God, he preached, “O my friends, how thankful should we be for sleep. Sleep is the best physician that I know of. Sleep hath healed more pains of wearied bones than the most eminent physicians upon earth. It is the best medicine; the choicest thing of all the names which are written in all the lists of pharmacy. There is nothing like to sleep!” (a sermon delivered on March 4th, 1855). Mike Raiter is the Director of the Centre for Biblical Preaching in Melbourne. He was formerly Head of Missions at Moore College and, more recently, Principal of Melbourne School of Theology. Mike spent 11 years working in Pakistan, largely in theological education. He is married to Sarah and they have 4 children (Joel, Nate, Pippa and Lauren). He is the author of over 35 books and articles, most notably the 2004 Australian Christian Book of the Year, Stirring of the Soul.